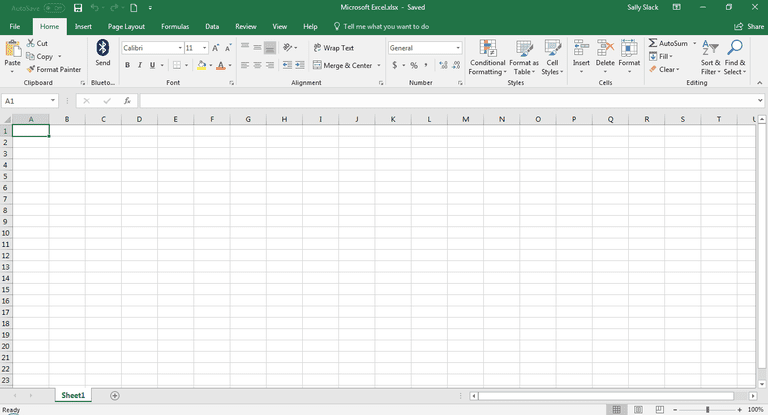 Cells that contain formulas in Google Sheets display the answers to all formulas and functions located in the worksheet, not the formula or function itself. In large worksheets, finding the cells that contain formulas or functions can be difficult. The keyboard key shown above is called the grave accent key. On most standard keyboards, the grave accent key is located to the left of the number 1 key. It looks like a backward apostrophe. This key combination works as a toggle in Google Sheets, which means you press the same key combination again to hide the formulas when you are finished viewing them. The worksheet will display all formulas in the cells that contain them, rather than the formula results. To show the results again for those cells, press the Ctrl+` combination once more. When you show formulas on your Google sheet, it doesn't change the worksheet contents, only the way they are displayed. Then it's easier to find cells containing formulas. It also allows you to quickly read through the formulas to check for errors. In addition to the shortcut key above, you can also enable or disable displaying cell formulas in the entire sheet by using the Google Sheets menu. This is a good alternative if you prefer using the Google Sheets menu rather than shortcut keys. Rather than viewing all the formulas in the entire spreadsheet, you can view formulas one at a time in Google Sheets with one of the following two techniques. Both of these actions give you insight into the current results of a formula you're entering. Left double-clicking on the cell also highlights the source cells, so you can see all data in your spreadsheet that affects the formula results. The F9 key allows you to see results without switching out of cell edit mode. While entering formulas into cells in Google Sheets, you can also press the F1 key to see an expanded view of formula help so you can better understand how a particular formula works. Another option for hiding formulas in Google Sheets is to use worksheet protection, which allows you to prevent other users from editing formulas in locked cells. The following steps will let you protect an entire range of cells so that no one can edit the formulas they contain. Select the range of cells containing the formulas you want to hide. Click on Data in the menu, and select Protected sheets and ranges. In the pop-up window, select Set permissions. In the dialog box, click on Restrict who can edit this range. Remove any users who you don't want editing cell formulas. This process works for protecting either individual cells, a range of cells, or the entire sheet.